John Schmitt is research director at the Washington Center for Equitable Growth and co-author of the piece, “Don’t Blame the Robots: Assessing the Job Polarization Explanation of Growing Wage Inequality.” (co-authored with Heidi Shierholz — who is now the chief economist at the Labor Department — and Lawrence Mishel, president of the Economic Policy Institute). You can follow John on Twitter here. Schmitt Quote: “Technological change is not the force behind rising inequality. Technological change has been a constant feature of the economy throughout the entire 20th century, with no obvious associated increase in wage or income inequality for much of that period. As many researchers have also noted, the timing of the microcomputer revolution doesn’t match well with the jump in inequality. The largest increase in wage inequality took place in the few years between 1979 and 1982, well before personal computers, let alone the Internet, had transformed workplaces. And, the pace of growth in wage inequality slowed somewhat even as computerization spread steadily in the late 1980s and 1990s. Technology is also not well suited to explain important dimensions of wage inequality by gender, race, and age. This entry was posted in Bernie Sanders, Economic Inequality, Economy, Elections, Health Care Reform, Hillary Clinton, Labor Unions, Medicare, MLK, News And Analysis, Obama, Uncategorized and tagged Bernie Sanders, Economic Inequality, Economy, Healthcare, Hillary Clinton, MLK. KPFT is in Pledge Drive and this is the final time you can support The Monitor during the drive. Our goal this week is $1200. Please help us get there by calling 713-526-5738 or going online at www.kpft.org during the show. We have one guest this week: Richard Wolff. We will be talking with him about the American economy in broad terms but we will get specific on the shutdown, the debt ceiling and the cost of healthcare. Richard Wolff is Professor of Economics Emeritus, University of Massachusetts, Amherst where he taught economics from 1973 to 2008. He is currently a Visiting Professor in the Graduate Program in International Affairs of the New School University, New York City. He also teaches classes regularly at the Brecht Forum in Manhattan. We will have some great thank you gifts for you donation during the show this week. Please call 713-526-5738 during the show and thank you for your support! This entry was posted in Bankruptcy, Cost of War, Economic Inequality, Economy, Hypocrisy, Labor Unions, Mentioned on Air, Minimum Wage, News And Analysis, Obama, Offshore Banking, Richard Wolff, Single Payer, Social Security, Sub-Prime Loans, Taxes, The Economy, The Fed, Wall Street, War Budget, Wealth and Income distribution. Our show this week features interviews from previous shows about topics that just won’t go away. The first interview is with veteran foreign correspondent Reese Erlich from the week of December 12, 2011in which we discuss Iran and drones. Again, this interview is still important. The second interview is from last week when Otis Maclay was holding down the fort in my absence. It is with Nancy Altman and discusses social security. Given all the continuing talk of fiscal cliffs I thought it was worth replaying…and I haven’t had a chance to hear it yet. The third interview is with Ladd Everitt of the Coalition to Stop Gun Violence We had him on the show back in the week of August 6th and recent events make the interview just as relevant now as it was then. Erlich’s book, Target Iraq: What the News Media Didn’t Tell You co-authored with Norman Solomon, became a best seller in 2003. The Iran Agenda: The Real Story of US Policy and the Middle East Crisis was published in 2007. Dateline Havana: The Real Story of US Policy and the Future of Cuba was published in 2009. His latest book, Conversations with Terrorists: Middle East Leaders on Politics, Violence and Empire, was published in 2010. Background: China is commonly referred to as “the largest lender to the United States” as in this layout by the New York Times “Who Is Owed by the United States.” But China holds about $1.2 trillion of U.S. debt — less than half that of Social Security. This entry was posted in Debt, Democracy, Democrat Corruption, Drones, Economic Inequality, Empire, Gun Control, Iran, Labor Unions, Obama, Radio Shows, Social Security. James Otto served as an Officer in the United States Marine Corp. from 1976 to 1980. In 1981, Mr. Otto earned a Masters of Business Administration (M.B.A.) with an emphasis in finance, from National University in San Diego, California. He practiced financial analysis throughout Asia before returning to the United States in 1984. While preparing to enter law school, Jim Otto worked for Dillingham Construction Company in Pleasanton, California as a database manger. He created database software to be placed on job sites (such as the Golden Gate Bridge restructuring and the BART project) to assist in the management of the projects. In 1986, Mr. Otto entered Southwestern School of Law in Los Angeles, California. He graduated in 1989 becoming a member of the California State Bar licensed to practice in federal and state courts. Over the past 24 years, he handled over 1,000 cases acquiring extensive experience in litigation in various areas such as accounting, appeals, business, corporations, employment practices, financing, housing, personal injuries, mediation, and trials. From 1996 to 2003, James Otto worked for the California Department of Fair Employment and Housing prosecuting violators of California’s civil rights laws in both employment and housing.In 2003, Mr. Otto opened his own law office in Northridge, California, and since then has emphasized cases involving civil rights and the Fair Employment and Housing Act.Presently, Mr. Otto is developing new legal theories to protect American workers and green card holders from national origin discrimination. Trita Parsi is the 2010 recipient of the Grawemeyer Award for Ideas Improving World Order. He is the founder and president of the National Iranian American Council and an expert on US-Iranian relations, Iranian foreign policy, and the geopoliitcs of the Middle East. He is the author of Treacherous Alliance: The Secret Dealings of Iran, Israel and the United States (Yale University Press 2007), for which he conducted more than 130 interviews with senior Israeli, Iranian and American decision-makers. Treacherous Alliance is the silver medal winner of the 2008 Arthur Ross Book Award from the Council on Foreign Relations. Parsi’s upcoming book A Single Roll of the Dice – Obama’s Diplomacy with Iran (Yale University Press), is set to be released early 2012. This entry was posted in Immigration, Intelligence, Iran, Jobs, Labor Unions, Radio Shows. This Labor Day week we look at Labor, Pensions and Debt. Our guests are Steve Early and David Graeber. David Graeber is an American anthropologist and anarchist who currently holds the position of Reader in Social Anthropology at Goldsmiths, University of London. He was an associate professor of anthropology at Yale University, although Yale controversially declined to rehire him, and his term there ended in June 2007. Graeber has a history of social and political activism, including his role in protests against the World Economic Forum in New York City (2002) and membership in the labor union Industrial Workers of the World. His father, Kenneth Graeber, participated in the Spanish Revolution in Barcelona and fought in the Spanish Civil War and his mother, then Ruth Rubinstein, was part of the original cast of the 1930s labor stage review Pins & Needles, performed entirely by garment workers. Graeber’s father ultimately found work as a plate stripper and Graeber has sometimes suggested his working class upbringing might have played at least as large a role in the problems he later encountered in academic life as his political activities. Article:“To Have Is to Owe” – An illustrated essay in Triple Canopy (online magazine) on the history of debt, which contains excerpts from his forthcoming book, Debt: The First 5,000 Years. This entry was posted in Debt, Economic Inequality, Economy, Labor Unions, Primer. Protests continue across the Middle East and The Monitor expands its coverage and in-depth analysis. We revisit Libya this week with our 1st guest, Ali Ahmida. Our 2nd guest, Bill Fletcher, will discuss events in Wisconsin and the topic of labor unions. Ali Ahmida was born in Waddan, Libya and educated at Cairo University in Egypt and The University of Washington, Seattle. 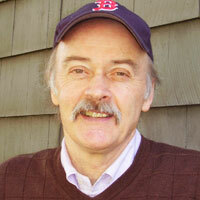 He is a professor and chair of the Department of Political Science at the University of New England, Biddeford, Maine. He is also the author of The Making of Modern Libya: State Formation, Colonialization and Resistance and Forgotten Voices: Power and Agency in Colonial and Postcolonial Libya. This entry was posted in Arab World, Labor Unions, Libya, Revolution, The New Middle East and tagged Labor Unions, Libya.